The Billy Jones Band is starting a fund raising campaign to film 10 contemporary, authentic Blues & Southern Soul Music videos. Our album is doing very well on the international market. ..it's being played by Podcast and Radio DJ's on stations worldwide! ..trips me out! ..because when I say "authentic", I mean that our band is organically created. ..we were NOT put together by some corporation or record company as a business venture to raise capital, and given a pre-determined "image" to serve a certain demographic. We are genuine road-hardened Delta Blues Outlaws who have come up like a flower through a crack in the concrete. ..self contained. And we move and exist on our own volition. ..without direction from record label "experts" who don't sing or play guitar. You're probably asking yourself WHY am I saying all this crap? ..right? ..well, when I was a teenager and young adult, I toured with and played back-up guitar for Little Johnny Taylor, Calvin Leavy (..who was the originator of the song 'Cummins Prison Farm') ..Larry Totsie Davis ( ..who was the originator of the song 'Texas Flood' that was re-recorded and made famous by Stevie Ray Vaughn) ..and of course, there are far too many Little Johnny Taylor songs to even begin naming them all! ..these guys were my teachers and mentors. ..I am so proud to have been associated with them. ..they were like Fathers to me. So, I said that to say this ..of course we will not fully know what we are doing ..but ain't that what Rock & Roll is really all about? Just takin' off half-assed knowing what you're doing, and creating art along the way? ..a little knowledge ..and a little magic. We want to hire some professional video people to help us with this project. ..but we also want to hire High School & College film students who can bring in new and fresh ideas. ..Music & Film have become so intertwined that I believe todays young Blues Artist needs a working knowledge of not only the instrument, but also of video, recording technics and stage performance presentation. But never mind that! ...I want you guys to send me some money! ..so that I can complete the project. I want to appeal to, and represent the everyday Blues Musician who loves the music in his heart, is studying and rehearsing his craft with passion, and has a gift to give and something to say. ..but can't get by that corporate gatekeeper guy at the Record Company who can't sing. ..and want's mimicry. ...send me whatever amount of money it is that you can, and let's make some art! Please visit our links and websites and consider being a part of this effort. ..this is gonna be a great video shoot! "..this excellent recording combines blues, funk & southern soul with taste and class resulting in an actual urban sound, perfect to attract new generations of blues lovers. ..powerful songs. ..amazing punch and good rhythm. ...Jones’ voice and guitar work shine like a dazzling star!" Exquisite Modern and Traditional Blues and Neo-Soul by one of the most talented artists on the contemporary scene." 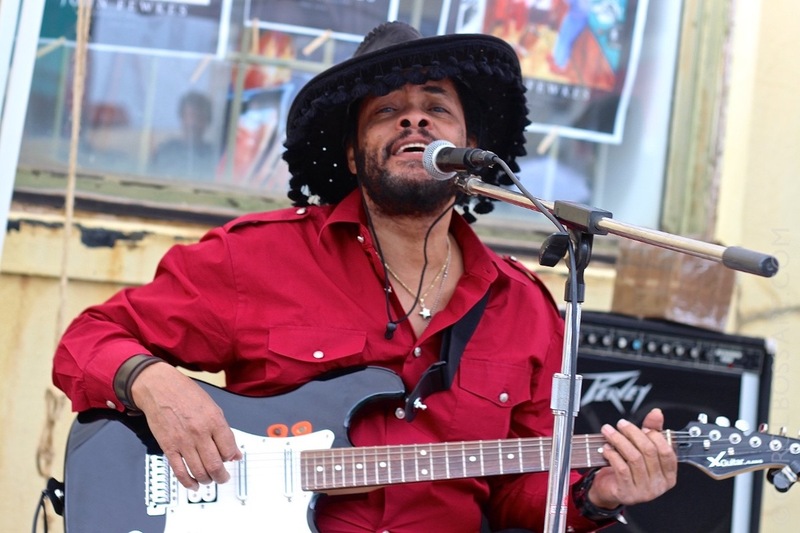 "...his vocals are a blend of blues intensity and style with urban soul. ...it’s as if every song chastises me for never having heard of this man or his music before now. ...a combination of multiple genres while still maintaining a great late night, urban club feel. No matter if you want to call it soul, blues, R&B or whatever, Billy Jones can really put some emotion into his music. ...each of the songs on the album guarantees I’ll be back for more."